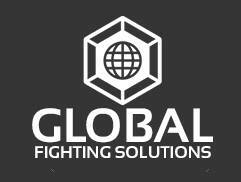 Are you a promoter looking for an organization to sanction your combat event? If so, please fill out the short form below and a representative will be in contact with you within 24 hours. Thank you for your consideration and feel free to visit other pages on the website. All state and tribal commissions in the United States, as well as the provincial, municipal, and tribal commissions in Canada have agreed that Mixed Martial Arts LLC would be the first official record keeper in the sport. All results and suspension information from these commissions will be reported exclusively to Mixed Martial Arts LLC, as detailed below. Every promoter of both amateur and professional mixed martial arts events in Indiana should register their promotion with Mixed Martial Arts LLC. By registering your promotion, you will be able to enter your event information and proposed matches into the registry, which will be sent to this office for consideration. You will be immediately notified if a proposed contestant is on suspension, and the length of that suspension or what type of medical requirements may need to be met before a suspension can be lifted. 2. Click the Request Promoters Credentials link. After you have registered with Mixed Martial Arts LLC, you will be provided with details on registering your events, developing your bouts, and the fee structure. This system will be a benefit to you in the future. Since Mixed Martial Arts LLC is the only official Mixed Martial Arts registry, it is imperative for the safety and progress of the sport, that all information is supplied to and received from their database. Each fighter must be issued a Mixed Martial Arts National Identification Card and number. The application for obtaining the identification card can be found on the Commission’s website. By completing this application, fighters will be issued a photographic identification card and also will obtain a profile within the Mixed Martial Arts LLC website. Fighters must bring this identification card with them regardless of where they participate across North America.